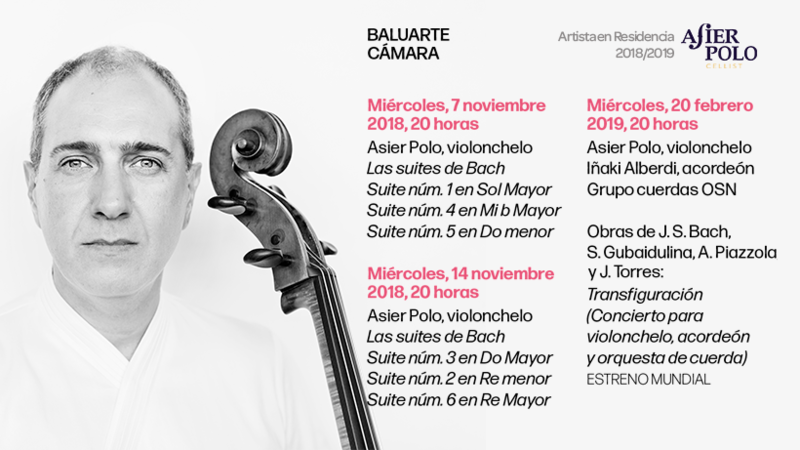 Three out of the six events of ‘Baluarte Cámara’, the annual chamber music cycle of the Foundation, will have Asier Polo as the leading figure of the program. 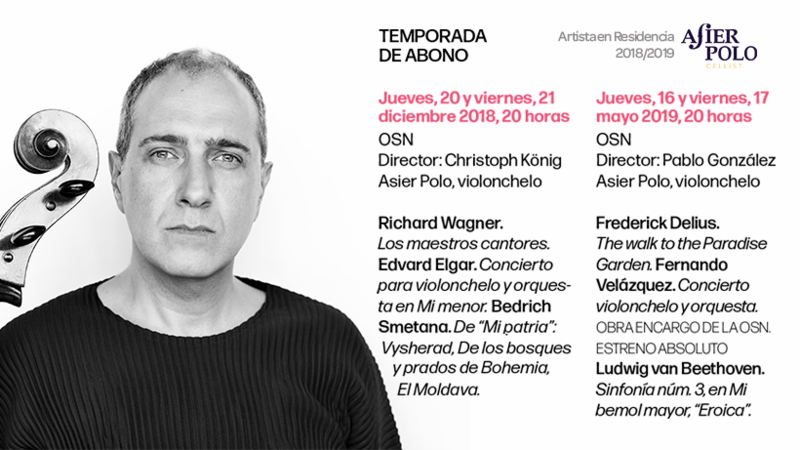 The audience of Navarra will have the chance to enjoy one of the masterworks of Johann Sebastian Bach, the whole set of the Suites for Cello Solo, in two dates: on Wednesday, November 7, with the Suites No. 1, 4 and 5; and the following week, on Wednesday, November 14, the Suites No. 3, 2 and 6. Later, on February 20, 2019, Asier Polo will have his first world premiere of the season with ‘Transfiguración’, a Concerto for cello, accordion and string orchestra by the composer Jesús Torres. 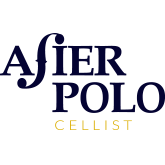 Asier Polo will share the stage with the accordionist Iñaki Alberdi and the string group of the Navarra Symphony Orchestra. The concert will also include works by Bach, Gubaidulina and Piazzolla. 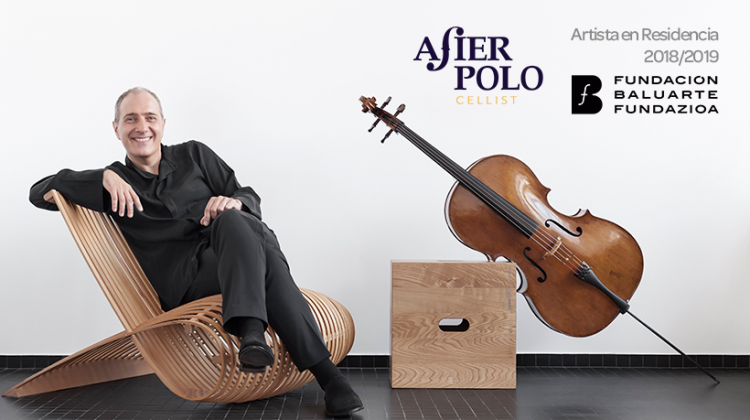 Regarding his projects together with the Navarra Symphony Orchestra as an Artist in Residence, Asier Polo will perform under the baton of Christoph König the ‘Concerto for cello and orchestra’ by Edvard Elgar, a work he chose for his orchestral debut more than 25 years ago, and which, to this day, is still occupying a position of honor in his repertoire. As part of the symphony season and as usual in the Navarre main orchestra, the program will have two consecutive dates: December 20 and 21. In the second orchestral program of the season as an Artist in Residence stands out the world premiere of Fernando Velázquez’s ‘Concerto for Cello and Orchestra’, which will be led by the maestro Pablo González, also in a double program, on May 16 and 17, 2019. Tickets for all events are already on sale at the box office and on the internet by following this link.